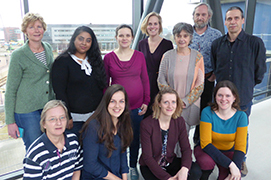 The Leiden Clinical Parasitology Group has a long history of diagnostic research involving the whole spectrum of human parasitic infections. The group has a specific interest in schistosomiasis, intestinal helminths and malaria. These parasites are highly prevalent in developing countries where they represent a leading cause of diarrhoea, fever and anaemia. Dr. Lisette van Lieshout spearheads research into improving current diagnostic tools for the detection of parasitic infections both in laboratory settings and in the field. The group is well known for the development of urine-based point-of-care antigen tests for sensitive and user-friendly diagnosis of schistosomiasis in collaboration with the Molecular Cell Biology group. In addition, the group has developed and improved multiplex real-time PCR technologies to diagnose multiple parasitic infections in clinical samples. Many of these DNA-based tests have been implemented for routine patient diagnostics or applied in endemic regions to study the distribution of parasitic infection and to monitor intervention. Dr. Meta Roestenberg pioneers the field of translational parasitological research for the development of vaccines for malaria, schistosomiasis and hookworm. 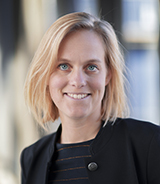 Through her appointment at the department of Infectious Diseases, she runs an outpatient clinic for returning travellers with (tropical) infectious diseases and co-supervises the LUMC travel clinic (www.vaccinatiepolilumc.nl ). 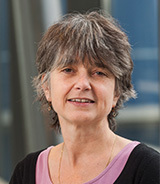 In addition, she runs a research group focussed on translational parasitological research and she leads the Controlled Human Infections studies at the LUMC, with the aim of studying parasitological, bacterial as well as viral infections in vivo.